Just like decluttering your desktop space by deleting unused apps can help you stay focused, organising your remaining apps can make it much easier and more fun to use your device. To rearrange apps on your iOS device (iPhone, iPod or iPad), press and hold the app you want to remove until it "wobbles" then, arrange the apps by dragging them. Press the home button to save your arrangement. It makes sense to want the apps that we most often use on our main home screen. One way to keep the rest of your apps organised and easy to find, is to sort them onto different home screens. For example, you could use one home screen for social media apps, one for utilities and so on. You can reduce the clutter by grouping apps together in folders. For example, gather all of your photography apps in one folder. To create a folder, tap and hold the app until all the apps start jiggling. Now drag one of the apps onto another. This will create the folder and give it a default name which you can edit if you like. If you want to add more apps to the folder, keep dragging them into the folder. When you’ve finished creating your new folder, tap the Home button to stop the jigging. It can be helpful to name your folders by action. For example, instead of using a category like "productivity" you might name a folder "organise" or "do". Instead of "media" you might consider "reading", "play" or "learn". Help, I Can't Find an App! What if you can't find an app that you put in a folder, but now you can’t remember which folder!? To locate your app, start by navigating to your home screen. wipe to the right to activate spotlight search and type in the name of the app you're looking for. In iOS7: swipe down on any page of your homescreen to reveal the search bar. For apps you use frequently, you can create a shortcut to make those apps easily available on every page. Tap and hold an app. When they start to jiggle, drag the app or folders of apps to the bottom of the screen (dock). This will help you to find an app quickly, no matter which page you're on. To remove an app from the dock, simply press and hold the icon and drag it out of the dock and back onto your screen. To drag a folder into the dock, you will have to create it first on the screen, then drag it to the dock. You can organise your apps via iTunes if you prefer. Launch iTunes and connect your iPhone, iPod or iPad. Select your device and tap Apps. Select an app and drag it to move it to a different page. You can create folders the same way by dragging an app into another app and optionally renaming the folder. 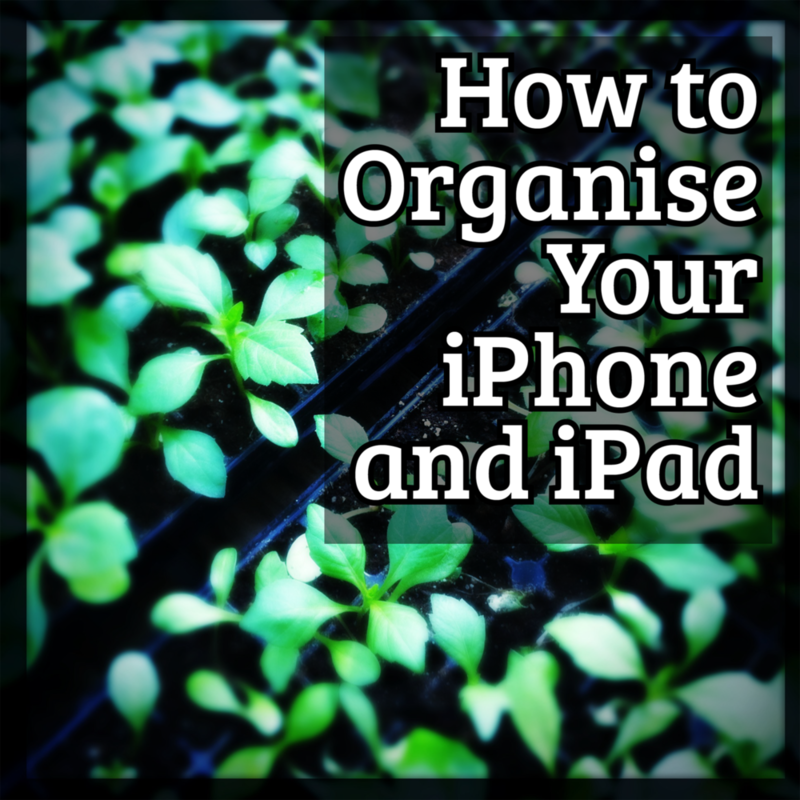 There are many ways to organise and make your iPhone or iPad your own. When you've started to buy some apps and know more about how you like to use your smartphone or tablet, a little time spent organising can save time, increase your productivity and make your device more fun and easy to use. 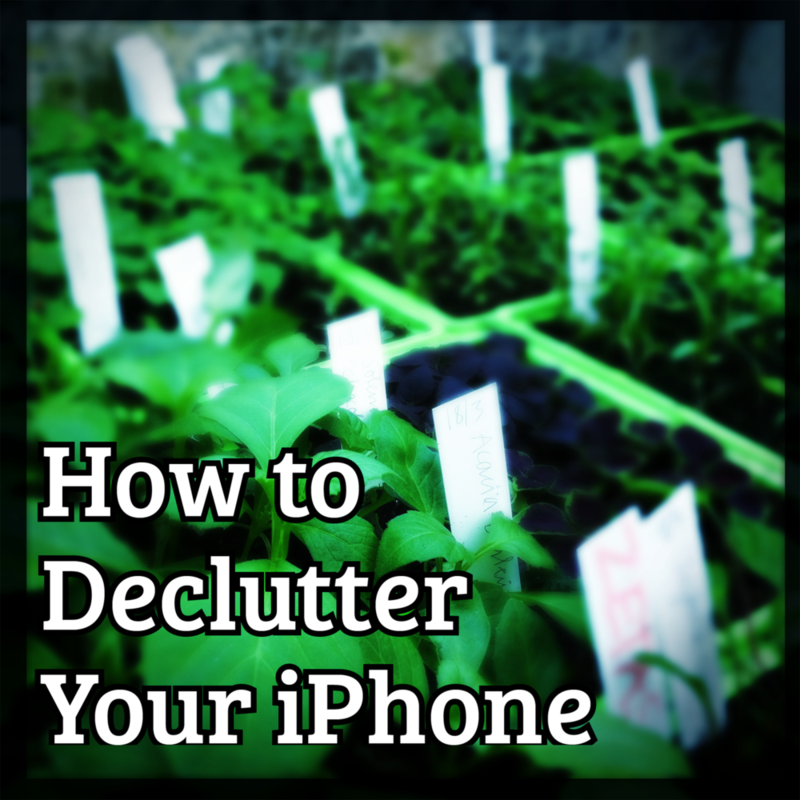 Decluttering your iPhone. Deleting apps you no longer use. With the sheer number of apps available, it's fun and often inexpensive to try out new, exciting apps. It can easily become a bit of an addiction (do you ever feel like an appoholic? ), and you wind up with so many apps that your smartphone (or tablet) becomes a cluttered mess. Just like on your computer, unused software takes up extra room on your tablet or smartphone’s storage and makes it harder to find the apps you do use. Cleaning out and organising the apps you use frequently makes it easier for you to focus and find what you need and enjoy to use. It also frees up extra space and helps your device run smoother. To uninstall apps on your iOS device (iPhone, iPod or iPad), press and hold the app you want to remove until it "wobbles" and then tap the small “X” that appears in the corner to uninstall it. Using iTunes to declutter your apps. When you connect your device to iTunes, you can get a quick overview of the different types of apps you've installed. You can view your apps by Category by using the ‘Sort By’ button. This will give you a picture of the types of apps you've got. For example, if you've got several apps with a similar function, you might like to delete the ones you don't use. Alternatively, you might like to remove apps that take a lot of space. If you change your mind you can restore an app that you used to have, directly from your iPhone, iPod or iPad. You won't be charged twice for an app or in-app purchase, provided you use the same iTunes account login. Open the App Store, search for the app and reinstall it. It’s that easy. When You've decluttered your iPhone or iPad, it'll be so much easier to organise your remaining apps. What ever happened to solitude? The pause, the space in-between? That moment of reflection and day dreaming. Time to reframe, refresh and renew. To be present in the moment and connect deeply with other people and ourselves? It's so easy to gradually fill that space with busywork. Internet tasks like Facebook updates and blog statistics and suddenly find yourself out of time. During my Easter break I reestablished some of the things I love to do to relax, and since then I've been guarding that space like a hawk. And this has put me in a different frame of mind. I'm thinking more about the bigger picture and structure. Simplifying and streamlining the smaller things both in my online and offline life. This spring, you'll find more writings here at Marmalade Moon, about giving your digital life a spring cleaning, developing a slower pace, more focus and turning your bloated iPhone photo roll into a tidy, organised space. There's something about the energy, both in the spring and in the autumn, that makes it feel like a good time for renewal? It's a new year, and I've been looking at how I can make my digital life more simple and easy. Consolidating and renewing. Refocusing, pruning and reinventing my digital life. It's a process. Slowing down to savour my experiences and to connect more fully with others. Delete unused apps on my iPhone and iPad to make it easier to stay focused. New email routine. Emails that don't require instant action or an immediate response, get popped into a folder named Monday, and on Mondays it's email day. 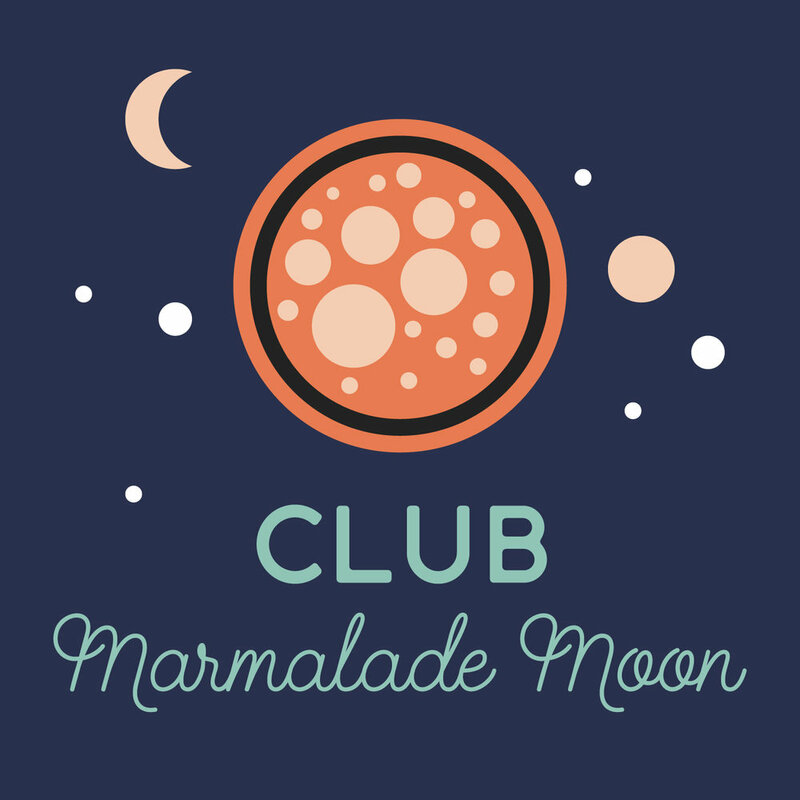 Simplify how I distribute my news, so that Club Marmalade Moon now also delivers you updates from the blog. 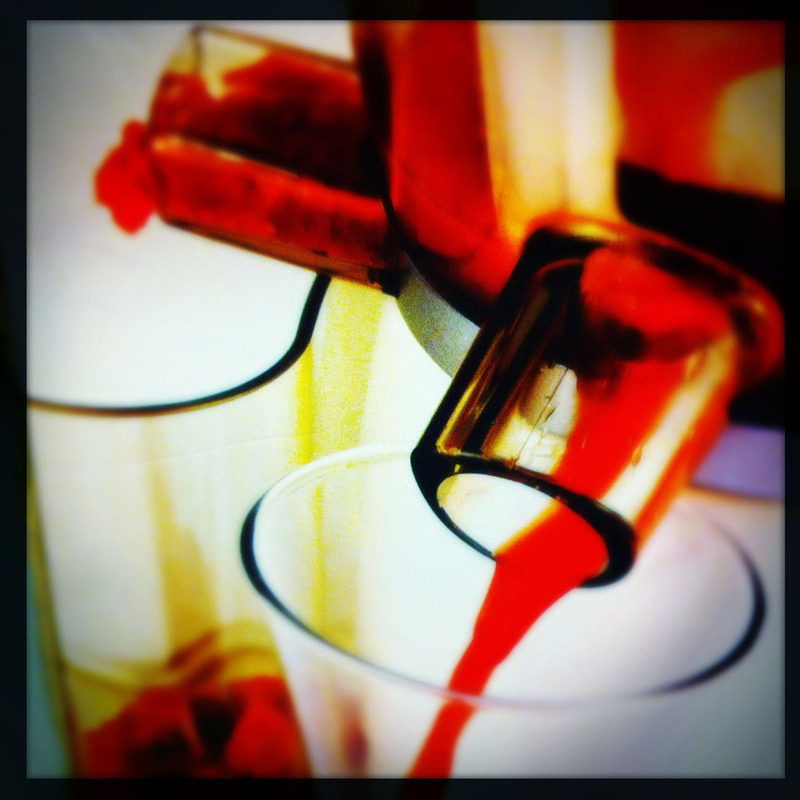 Get a juicer for the studio! New, healthy liquid lunches! To make it convenient and more flexible for you, you can now choose if you'd like to get your updates on a daily, weekly or monthly basis and you'll also receive exclusive, free content for members of Club Marmalade Moon. Last year I started a regular feature on this blog, where I bring the best bits of news I find on the web back home to Marmalade Moon in Tidbits. It's a weekly mix of inspiration, sparks of genius, beauty, illumination and laughter illustrated with my mobile photos. Have you been making any changes to your digital life this year? Do you feel a need for reflection at this time of year? In between the energising summer and the comforting winter holidays? Before the bustle of holiday preparations and the blank page of a new year? I do. It's so easy to get caught up in the bustle of everyday chores, and lose sight of the big picture. This feels like a good time to assess what's been working and what hasn't. I'd like to let go of the baggage of the past and be ready for a new beginning. Ease myself into Christmas and find a focus for next year. Taken a course in “Discovering and Creating Patterns” at the National Gallery of my hometown. Set aside Friday afternoons in the studio for spontaneous, playful explorations in different media with a focus on letting go of expectations. It's been wonderful to create a space for my own creativity (aside from client work) and to treat that time with the same respect as I would if it was a course or a meeting with other people. A time to commit to your art and illuminate the skills and resources that nurture your talents. Build a stronger foundation. Look at different ways of generating an income. Keep it simple. Sensuality. Slow life. The cozy comforts of home. Bloom where you're planted. Sink in where you are, a path to creativity. What are your reflections for the end of winter? How has your autumn been? Do you like to refocus and reassess now and then? I'm reinventing my digital life. Again. It always seems to creep up on me, the increasing time I spend in my digital environment. The number of web sites on my RSS-feed and the jumble of e-mail in my inbox. Time with social media. It's time to do some pruning and tiding up. Both in my balcony garden and in my digital life. The stream of information has become a flood. I need to take a step back to find some peace and quiet and to enjoy the summer. It's time to spend more time out of doors than in my digital life. This summer you'll see less of me on Twitter and Facebook. I won't be spending so much time visiting and commenting on blogs. However, I'll still be blogging regularly and Marmalade Moon will be updated each Tuesday, with an additional post later in the week if I have any extra news. I'll soon be sending out the Spring Edition of Club Marmalade Moon and I'm putting the finishing touches to some desktop art soon to be released. So there'll be lots going on. But I'll also be making space for having some magnolia moments. What are your plans for your digital life this summer? Will you be taking a vacation from your desktop environment or will it be a time when you perhaps enjoy spending a little more time on your computer projects?